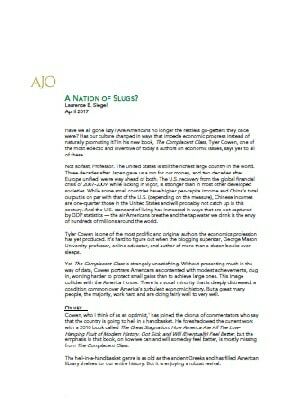 Latest Writing A Nation of Slugs? Have we all gone lazy? Are Americans no longer the restless go-getters they once were? Has our culture changed in ways that impede economic progress instead of naturally promoting it? In his new book, The Complacent Class, Tyler Cowen, one of the most eclectic and inventive of today’s authors on economic issues, says yes to all of these. Not so fast, Professor. The United States is still the richest large country in the world. Three decades after Japan gave us a run for our money, and two decades after Europe unified, we’re way ahead of both. The U.S. recovery from the global financial crisis of 2007-2009, while lacking in vigor, is stronger than in most other developed societies. While some small countries have higher per-capita income and China’s total output is on par with that of the U.S. (depending on the measure), Chinese incomes are one-quarter those in the United States and will probably not catch up in this century. 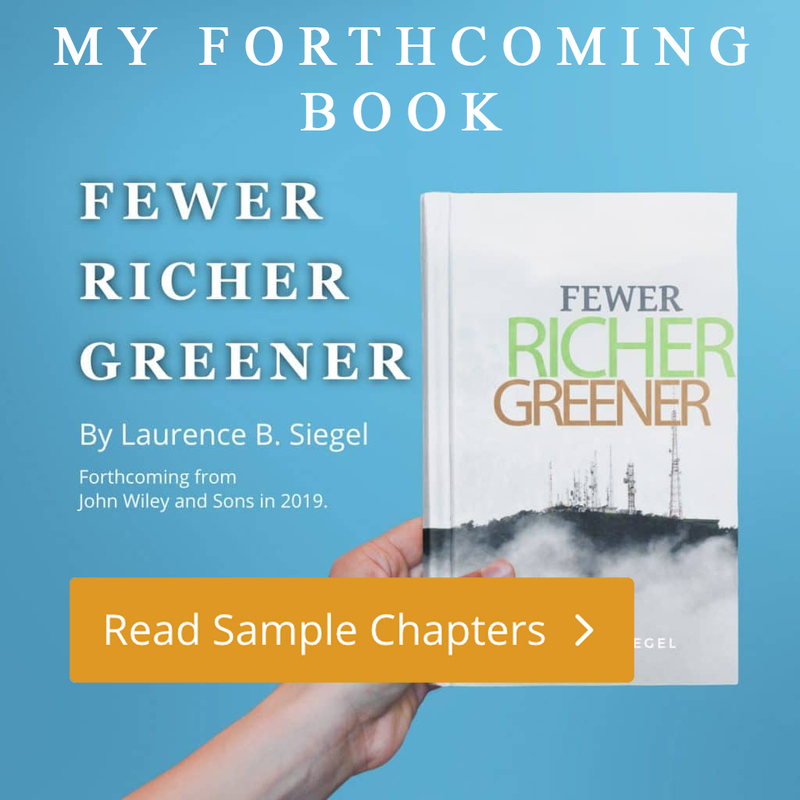 And the U.S. standard of living has increased in ways that are not captured by GDP statistics — the air Americans breathe and the tap water we drink is the envy of hundreds of millions around the world.